A. J. Burnett and Marco Scutaro are two players that the Blue Jays desperately tried to re-sign but they ultimately went on to leave the team as free agents; Burnett after the 2008 season and Scutaro after the 2009 season. While both players have gone on to have some ups and downs in the following years and neither stayed with their new organizations for the entire length of the contracts they signed, the real benefit to the Blue Jays was the draft pick compensation they received in return for losing both players. For losing A.J. Burnett the Blue Jays received a 1st round supplemental pick and New York's 3rd round draft choice in the 2009 first year player draft. With these picks they selected James Paxton as the supplemental pick and Jake Marisnick with NY's 3rd round pick. Unfortunately they were unable to sign Paxton and therefore received a similar supplemental round draft pick in the 2010 draft which they used to select Noah Syndergaard. For losing Marco Scutaro the Blue Jays received a 1st round supplemental pick and Boston's 2nd round draft choice in the 2010 first year player draft. With these picks the Blue Jays selected Aaron Sanchez and Justin Nicolino. For those of you not familiar with the Jays minor league system, Syndergaard, Sanchez and Nicolino all pitched for Class A Lansing in 2012 and may be the teams top three pitching prospects as they have combined to record 22 wins against 10 losses over 268 innings pitched with 288 strike outs, a 2.65 ERA and a 1.13 WHIP. After watching Syndergaard and Sanchez pitch this season Pat Hentgen, who is now a special assistant in the Blue Jays organization, compared the two pitchers to Roy Halladay and Chris Carpenter. The trio have also recently been featured here in a Toronto Star article. Jake Marisnick who was recently promoted to double A New Hampshire is a top center field prospect who Baseball America recently listed as the 37th best prospect in baseball and one spot ahead of the Blue Jays Anthony Gose. As it turns out the failure to sign A.J. Burnett and Marco Scutaro could be one of the best things to happen to the Blue Jays and may continue to pay dividends for team over the next decade. I have to admit I'm fascinated with the major league baseball draft as there is nothing else like it in professional sports. Essentially general managers are drafting players that they hope will help the team in three, four or five years down the road. It's no wonder that major league rules don't allow for the trading of draft picks when 90% of GM's will never see the players they draft have any kind of success while still employed for that team (I totally made up the 90% number but you get my point). 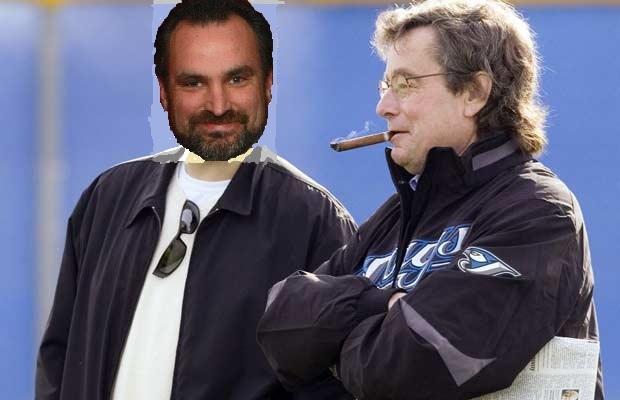 I think my fascination with the draft is a direct result of J.P. Ricciardi's tenure as general manager of the Blue Jays. When he was hired he came with a pedigree of being an expert talent evaluator and his true strength was to be shown in his drafts. I bought into this hype immediately and after his first draft I couldn't wait for the Russ Adams era to begin. Looking back now the draft was actually a major weakness of Ricciardi's, and it was very strategic of him to paint this kind of a picture of his skills set as it sometimes takes a decade for us to find out if he's telling the truth. Then again, it's not a lie if he knows the truth. It's also one of the reasons I'm hesitant to praise Alex Anthopoulos for his work at rebuilding the minor league system. How the hell do I know if any of the guys in the Jays minor league system will be any good five years from now? I've heard this story before and it didn't work out to well, and guess what, the boy wonders first 1st round draft pick Deck McGuire is already looking like a bust. In all fairness to Anthopoulos, his approach of preaching patience while building from within and through trades is probably the right one, but it requires a leap of faith from fans and there are no guarantees of success. This brings me to the 2002 "Moneyball" draft made famous by Micheal Lewis and the Oakland Athletics. I was probably a little biased going into reading the book Moneyball because at the time I was just learning about OPS as a dedicated reader of Rob Neyer's column at ESPN, back when he wasn't behind a paywall, and loving it. But after I finished the book I was even more convinced that Billy Beane was smarter than any other GM in the sport, and possibly all of sports. It all made perfect sense to me and finally someone had figured out the "mlb draft". Now that it is a decade later and moneyball is officially dead we should be able to look back at the 2002 draft and be able to clearly state whether or not it was a success for Billy Beane and the Oakland A's. However, today I read this column written by Dustin Parkes over at Getting Blanked who disagrees with Jon Paul Morosi who wrote this column which declared that "History has judge it (Oakland's 2002 draft) a failure". On the surface this didn't make much sense to me because they did draft Nick Swisher that year who has had a pretty damn good career, I wish Ricciardi had that kind of lack of success at the draft more often. 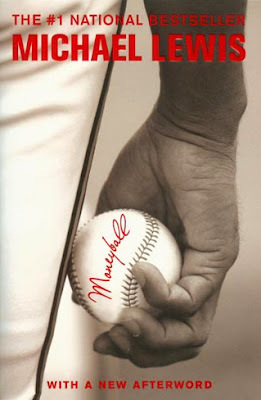 This inspired me to take a closer look at the famous moneyball draft. Thanks to Baseball Reference and their easy access historical draft information it's actually pretty simple to go back and look at the complete Oakland Athletics 2002 draft or any other team's draft in any other year for that matter. After looking at the Oakland draft, which appeared decent to me, I decided to do a little comparative research and calculate the cumulative Wins Above Replacement (WAR) to date of the players drafted for every team in the 2002 rule four draft. What I found was that the cumulative WAR for the Oakland Athletics (51.1) was actually the best in baseball that season, refer to Table 1 below for the breakdown of the cumulative WAR by team of the players drafted in 2002. I guess this is what they call revisionist history? Not only was the moneyball draft a success for Billy Beane and the Oakland A's, it was the most successful draft of any team in baseball that season and by a significant margin. It also confirmed my beliefs that J.P. Ricciardi had no idea what he was doing when it came to the draft. To be fair, some of the success Oakland had from this draft was the result of taking a late round pick named Jonathon Papelbon (16.2 WAR) who they were unable to sign. However, if you removed him from the equation, you would also have to remove others that didn't sign, such as Hunter Pence (17.7 WAR) taken by the Brewers and Jacoby Ellsbury (13.7 WAR) taken by the Rays, and the A's would still finish in the top 3 teams for value of players taken that signed with their team. Also, I feel removing these players would be taking away credit for a system that identified great talent, therefore I officially declare the A's winners of the 2002 draft! The Royals should have walked away from the draft after their first selection of Donald Greinke, better known as Zach, who has since gone on to put up a total 29.2 career WAR. Meanwhile the rest of the Royals picks that year have amounted to a combined -4.4 WAR. The 2002 cumulative value of the total players selected is equivalent to a WAR of 571.3, or an average WAR of 19 per team. The value of first round of the draft was equivalent to a WAR of 220.5, or almost 40% of the total value of the draft. The three most valuable players of the 2002 draft were Zack Greinke taken 6th overall (29.2 WAR), Matt Cain taken 25th overall (28.6 WAR) and Cole Hamels taken 17th overall (25.7 WAR). I've said all along that this season for the Blue Jays was a year to figure out 'what they really had' since there were so many question marks at multiple positions. Sure everything could have perfectly fell into place, but it was unlikely. Sure the season is still young, however nothing this team has done so far has changed my opinion of my expectations for the season. 1. Can Colby Rasmus rebound? Although he continues to struggle at the plate there are signs that he can turn it around, in the meantime his defense has been outstanding and he should continue to be the Jays CF. 2. Can Adam Lind Regain his 2009 form? The answer to this is a resounding No and it looks like the team has moved on and will look to find a more permanent solution. 3. 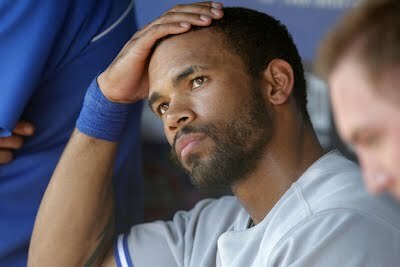 Is Eric Thames the Answer in LF? Again the answer is a resounding No as not only did he continue to struggle defensively, but the league found holes in his swing leading to Thames putting up the lowest OPS among the 16 regular left fielders in major league baseball at the time of his demotion to Las Vegas today. Unfortunately this question has yet to be answered as a wrist injury has caused him to miss a significant number of games and hinder his production. However he did show signs of improving his plate discipline prior to the injury. Unfortunately it may be too little too late. 5. Can Brandon Morrow take that Next Step to Acehood? In spite of his recent shellacking at the hands of the Texas Rangers, Morrow has been the Blue Jays best starting pitcher this season. Has he become an ace? I think it is probably a little premature to say he has, but he continues to improve and will be a trusted key component in the rotation for years to come. 6. What Should we make of Kelly Johnson and Edwin Encarnacion? Unfortunately for the Blue Jays, along with Jose Bautista, these two players have been the the most productive hitters on the team. This is unfortunate because they are both heading into free agency and will likely demand a sizable contract that will outweigh their value. I would recommend the team sell high on these two rather than committing into long term deals for mid level talent. I love Brett Lawrie's future, however expectations for his performance got out of control during the off-season and people need to remember that he is just 22 years old and just learning to become a major league hitter. I would still lock him up to a long term contract now, and you could probably do this at a much better rate than even a month ago. Most of the Jays prospects are still at least a year away from the major leagues, however two players closest to the major leagues include Travis D'Arnaud, who I've never been all that high on, who really looks like a true elite prospect, and Anthony Gose who continues to make great strides in his development. While pitchers Deck McGuire and Chad Jenkins have taken a step back this season, Noah Snydergaard, Aaron Sanchez, Drew Hutchison and Justin Nicolino have all been receiving rave reviews. However, I must caution that other than Hutchison, these pitchers are a long way from the major leagues and a wise man once said "There is no such thing as a pitching prospect". Let's just temper our expectations and enjoy the ride. So while it appears that many of the questions heading into the season have turned out negatively, I believe this is a positive and the organization now has a clear direction as to what they need to do to improve and take that next step towards becoming a contender. 1. After a trampoline accident Joba Chamberlain has a bone sticking out of his ankle. 2. 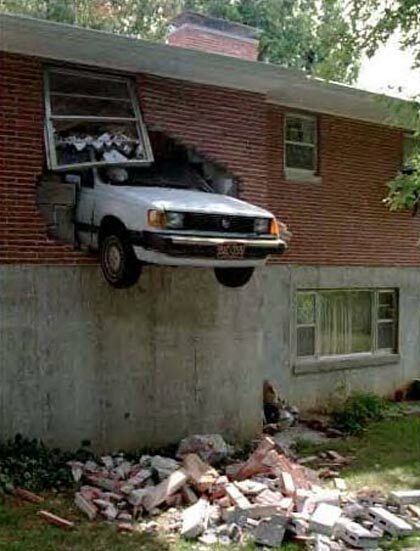 Bobby Jenks got arrested after deciding to get drunk, then drive an automobile, damage some property and flee the scene. 3. The normally well behaved Matt Bush got arrested after getting drunk, driving, running down a 72 year old man on a motorcycle and fleeing the scene. Update: Add another pitcher to the list of having a bad day as Joakim Soria has opted to undergo season ending Tommy John surgery. Given the kind of day it has been, I wouldn't be surprised to hear Chris Carpenter is also done for the season, not to mention potential bad news for Ryan Madsen and Brian Wilson. Adam Lind has a very team friendly contract at $5 million for this year and next, then team friendly options for 2014 through 2016. However, there is a real chance that he isn't a very good player and the team may be better off just getting out of the contract altogether. Mark Reynolds, the king of the strike out, has a $7.5 million contract for this year with an $11 million team option for 2013 (with a $500,000 buyout). Reynolds hasn't hit much either for the past couple of seasons, however, the man still knows how to take a walk, and hit plenty of home runs. Because of this, he has been slightly more valuable over the past two seasons than Lind (0.9 rWAR vs. 0.3 rWAR). However, if you take Mark Reynolds off of 3rd base and stick him at 1st base, this might absorb some of the impact that his -2.5 dWAR had last season, and the Jays could find themselves with a 3 WAR value player. I think if I'm the general manger of the Blue Jays I'd at least put in a call and offer Lind straight up for Reynolds. Note: This article was supposed to be the third part of a series for Baseball Digest, however, the site folded before it was ever published, therefore I'm posting it here three weeks after it was written. Enjoy! In 2011 the Toronto Blue Jays finished out of the playoffs for the 18th consecutive season finishing 4th in their division with 81 wins and 81 losses. However, all was not doom and gloom for this team as the season was filled with positives such as the emergence of Canadian born Brett Lawrie, a repeat Hank Aaron award winning season for Jose Bautista and continued stockpiling of the farm system by GM Alex Anthopolous. It has been said by numerous prognosticators and minor league evaluators that the Toronto Blue Jays have the greatest depth of minor league talent of any team in baseball and their strength is pitching. However, there aren’t that many we can expect to make an impact this season. One player who could play a role is Kyle Drabek who is coming off a disappointing season in both the majors and the minors, but with his talent it’s too early to give up on him yet, and with any young pitcher you never know when the light bulb turns on and he finally gets it. I’ve left Jesse Litsch off the bullpen roster, who otherwise should be there. However he has recently been shut down due to shoulder inflammation, including having a visit to the dreaded Dr. James Andrews. Kelly Johnson (2B) – Underrated, or is he? Yes, yes he is! I think? Oh who the hell knows what to expect from him? Yunel Escobar (SS) – Someone said that Yunel is the best shortstop in the American League and my immediate reaction was disbelief. But then I couldn’t name anyone better than him? Rajai Davis – I love having a guy like this on the bench! Ben Francisco – The player acquired during the off season that didn’t make a lot of sense? As I mentioned above the Toronto Blue Jays minor league system is one of the highest rated in baseball, which is greatly due to its depth of talent. However, while there are many that could break out and become elite prospects this season, it is hard to pin point anyone that I would consider a “can’t miss” prospect (sorry Travis D’Anraud). I also don’t think there is really anyone in the minor leagues that will have a major impact with the big club in 2012, as almost all of the decent prospects are at least a year away. If I had to pick someone to make an impact with the Blue Jays this season, I suspect that it would be a starting pitcher, possibly a Deck McGuire or a Drew Hutchinson. It seems this team is fully of guys that could be either elite, or horrible, so it really is difficult to project how they will do. Overall I see this team with fewer holes in their line-up than last season, a lot of young talent that will continue to improve, a much improved bullpen, and specifically I’m projecting better seasons from Brandon Morrow, Colby Rasmus, Kelly Johnson and Adam Lind. Regardless, it will be fun to watch. Blue Jays logo, courtesy SportsLogos.net. On the weekend I decided to take my lovely wife out for a special Valentines Day dinner and a movie. Given that it took us until the last minute to find a sitter for our two children it didn't leave me any time to make dinner reservations...big mistake. We got to the restaurant strategically located close to the theatre and unfortunately the wait time for a table was much too long if we wanted to make it to the movie in time, so we decided to go elsewhere. Of course being the Saturday before Valentines Day everywhere we went there were no tables available. After finally ending up eating at a quicky soup and sandwich place, because there was just no time at left for anything else, we gobbled down our mediocre sandwiches and rushed back to the movie theater. The movie we settled on, being Valentine's Day weekend and all, was The Vow, which I figured would be pretty much like every other movie of that genre and just entertaining enough that I wouldn't fall asleep. Sometime though, very rarely of course, these types of movies can be surprisingly outstanding. Of course I never got a chance to find out as the movie was sold out and the entire night was a disaster. As I can relate anything back to baseball this night got me thinking that the 2012 Blue Jays are kind of like the movie The Vow, in that I have very little expectations for this team heading into the season. Most likely this team is going to be middle of the road and just entertaining enough to keep my interest. However, every once in a while a team comes out of nowhere and surprises you in being much better than anyone ever expected. So could the 2012 Blue Jays be one of those teams that surprises everyone, and really what should we be expecting for this season? Going into the 2012 season the general consensus seems to be that the Toronto Blue Jays likeliest outcome is another 4th place finish behind the Yankees, Rays and Red Sox. In fact, I've been pretty vocal that 2012 should be viewed as a season to figure out what this team really has, and used to determine their biggest needs. It feels like almost everyone on this team outside of Jose Bautista and Ricky Romero could be great, or horrible, making it really difficult to determine what positions are in the greatest need of an upgrade. But what do the numbers say, how many wins should we really be expecting from this team? Last year I sat down and did this very exercise that I'm about to do today and I used projected Wins Above Replacement (WAR) to forecast the number of wins we should expect from the Blue Jays. I came up with with my own projections bases on my expectations, trending and past results to forecast players WAR values and in the end I came up with the projection that the Blue Jays would win 84 games in 2011. As it turns out if it weren't for a late season stumble I may have been bang on and as it was I wasn't far off as the Blue Jays won 81 games. This season, I'm going to do things a little differently which we will get into a little later, but first I want to look back on 2011 and using players WAR values see how many games the Blue Jays should have won this past season. The principle theory behind the Wins Above Replacement (WAR) statistic is that it assigns a specific number of wins (positive or negative) to a player in relation to replacement level talent. Replacement level talent is defined as a combined set of players that would make up a team with a .320 winning percentage, which is equivalent to 52 wins over a 162 game schedule. Below you will find a list of each 2011 Blue Jays players final season WAR values broken out by position player (table 1) and pitcher (table 2). From the tables above we see that the 2011 Toronto Blue Jays offense (and defense) represented a total of 18.4 wins above replacement level and the pitchers represented 15.2 wins for a combined 33.6 wins above replacement. Add this to the number of wins a replacement level team should win (52 or 51.84 to be exact), and this would suggest that the Blue Jays should have won approximately 85.44 games in 2011. Not that far off from the actual 81 games the team won, however from my limited experience doing these types of exercises I have found that when you add up a teams total player WAR value, it often does result in 3 or 4 more wins than the actual amount. This year when projecting each Blue Jays player WAR values, rather than make my own, probably biased, educated guess for each player, I decided to turn to the fine folks of Fangraph who polled the general public of their expectations for the majority of players in baseball. To see the results for the Toronto Blue Jays player projections go to Fangraphs here, or refer to the tables below for the projected WAR values by batter (Table 3) and by pitcher (Table 4). Note: for any player who didn't have WAR projections for the 2012 season, I projected a repeat of their 2011 WAR value. From the tables above we see that the 2012 Toronto Blue Jays projected offense (and defense) represent a total of 34.3 wins above replacement level and the pitchers represent 16.7 wins for a combined 51 wins above replacement. Add this to the number of wins a replacement level team should win (52), and this would suggest that the Blue Jays will win 103 games in 2012. The Blue Jays will win 103 games in 2012! Something has got to be wrong here. Could someone please look over my numbers as I must have made a mistake, my calculations state that the Blue Jays will win 103 games this year. That this years team is actually the greatest Blue Jays team ever assembled. Next thing you will tell me is that The Vow will be the surprise Oscar winner for best movie.